On completing the degree course in Waterford Institute of Technology I was offered a research assistant position with the college. 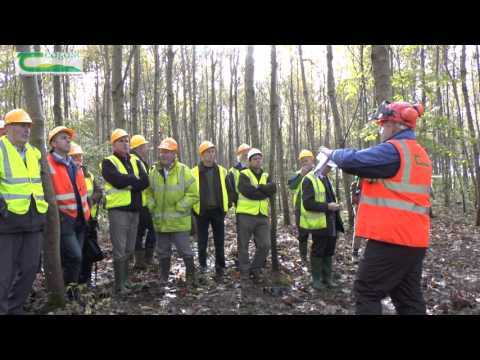 We carried out a number of harvesting trials in forests throughout Ireland. This gave me a feel for harvesting and transport logistics. I was able to build my network of contacts at all levels of the industry. I then started a small harvesting company dealing mainly with hardwood crops. 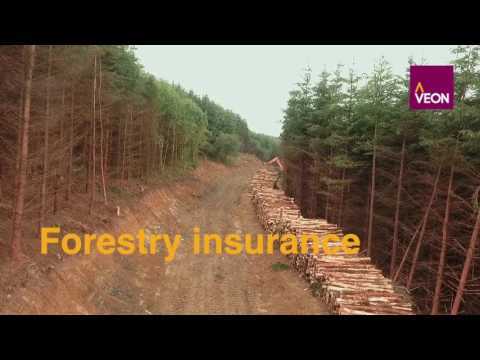 This gave me a start on buying timber from companies and from landowners. I managed a crew of eight people from whom I learned a lot about dealing with different personalities on small sites. I was asked to manage establishment operations for a geotechnical engineering company. This was something I had not tried before and worked at that for a number of years. In the company, I was given the role of site manager for a number of engineering operations. This role has enlightened my understanding of site safety and paperwork. When starting in my current position of Purchase Manager I was given the task of developing a sustainable source of timber from the private forestry sector. This role is to source, harvest, transport and purchase timber from private landowners. While working on the forest harvesting research trials with WIT I meet a harvesting contractor who gave me a lot of knowledge from his experiences good and bad. He was later able to explain the industry to me from his view and what contractors thought of the industry. One of my lecturers in WIT gave me the opportunity to try my hand at a number of positions and pushed me to develop in areas which interested me, even though at times I was failing in other areas. Even now, he is a source of grounding when I think I have gained as much knowledge as I can in an area, he gently but abruptly shows how much this industry is changing and how much I still have to learn. During a conversation with an old classmate, he mentioned that the position had been advertised. I researched the company and asked around in the industry who to contact. Sent my CV into the office and followed up with emails and calls to show an interest. The interview went well due to my ability to show my networking skills which I have developed from starting college in Waterford Institute of Technology. The job changes every day. Some weeks go according to plan and each meeting can be organised to the best use of my time. The next week could be organised and planned on Monday and by lunchtime, I will be driving the opposite direction and will not be back to the weekly tasks until Friday. With one phone call from either a contractor or landowner, the daily plan could be changed. When harvesting machines start a new site I must be there and before they finish I need to be on site to ensure the landowner is satisfied. The rest of the week is a mix of paperwork and site visits. 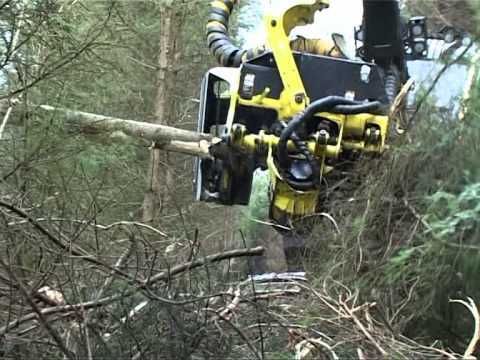 Contacting people in regard to potential harvesting operations; On-going communication with other companies who sell timber from private owners; Site visits to ensure required timber quality and volume will be achieved; Constant communication with contractors ensuring the timber is being moved; Tracking paperwork for timber off-site and ensuring payments are being made. The lack of knowledge of private forest landowners regarding their crop is the main challenge. For many forest owners, their first experience with forestry has not been entirely positive during the establishment stage and this then follows onto the thinning operations. Many forest landowners have heard some historical horror stories circulating from other owners, resulting in an overly negative opinion of the industry. I have to understand the fears of the landowner and pass on my knowledge even if they are not receptive to learning. Working with a diverse group of people and watching the interaction between them to achieve tasks. Meeting new people every day and learning from them. Seeing the differences in modern harvesting machinery and the ability of these machines to change the industry is very interesting. Also, the number of uses timber is being used for is changing by the day. The lack of interest by some landowners in their own forest crops. The interest by some people in the forest industry in making money to the detriment of the forest crop. I work alone and can keep my motivation high. I can motivate people to complete tasks that can be daunting. I can keep my goal in sight even when walls are put in front of me. I have a good understanding of the industry and keep up to date on new systems. Understanding and listening to a client’s requirements prevent issues in the future. I can’t say that I have been influenced by one subject or the other. They have all come into their own when asked about different topics by clients. A wide general knowledge is useful. I still find this useful as I am not sure what I will do next. 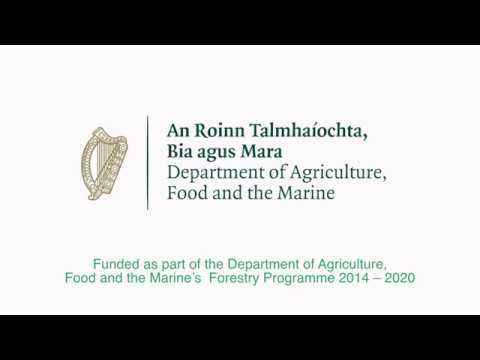 I completed a Bachelor of Science in Forestry in 2005 in WIT and returned in 2009 to complete an Honours Degree in Land Management in Forestry. The broad range which was covered in the course has given me an understanding which I can develop with on the job experience and personal research. Participation in a five-year research project that I still hear referenced 10 years later. I know I don’t know everything. I don’t take comments personally. I will learn from mistakes of myself and others and I’m willing to listen. Until I find another challenge, I have it. My job is flexible. My work life balance can swing in favour of work or life depending on the week. From being self-employed, I have understood the importance of distance from the job. I am on call all the time but with a good network of people around I can alleviate problems before they occur. This job allows my level of input to differ. I have found that in some of my lower paid jobs I have had less time for myself. Listen. Stick by your word. Enjoy driving long distances. I have plans to complete project management courses and health and safety courses. John Kelly, Timber Purchaser for Laois Sawmills.